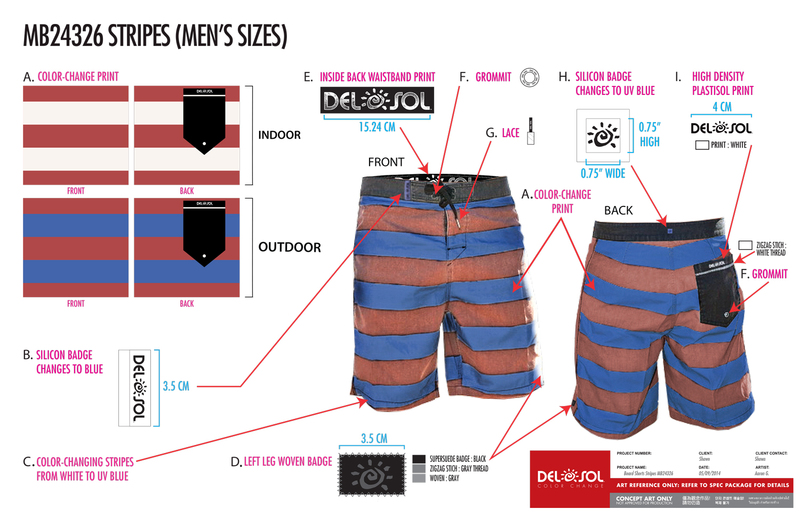 Striped shorts tech pack including color change callouts, brand elements, and product render. Floral shorts tech pack including color change callouts, brand elements, and product render. Sunset shorts tech pack including color change callouts, brand elements, and product render. Worked with product team to brainstorm, concept and build shorts designs with color changing technology. Created Tech Packs of final 3 designs to be put into production. Included calling out sizes, colors, and creating patch renders as well as other graphic elements. I am looking to get my tech packs made up for my online board shorts/ shorts/ clothing business. I am very interested in working closely with you ASAP. Are you available and what are you rates?